Saratoga Springs, NY – New York City Ballet, one of the world’s foremost dance companies, will present a dazzling, diverse repertory of 15 stunning ballets during its summer season at Saratoga Performing Arts Center (SPAC) July 9 – 13. Highlights of its engagement include Balanchine masterpieces Serenade and Theme and Variations, a special Gala program featuring the Saratoga premieres of Peter Martins’ Bal de Couture and Christopher Wheeldon’s pas de deux This Bitter Earth, and three performances of Justin Peck’s Year of the Rabbit, which also makes its Saratoga debut. The Opening Night program will feature three Balanchine ballets set to Tschaikovsky’s music including the virtuosic Tschaikovsky Pas de Deux; the classical tour de force Theme and Variations; and the Garland Dance, Balanchine’s 1981 interpretation of the famous dance from The Sleeping Beauty, the first ballet the legendary choreographer danced in as a child in Russia. The Garland Dance, which features a large cast, including 16 children, has never been seen at SPAC as an excerpted work. Also presented will be the iconic, four-movement Serenade, one of Balanchine’s most widely danced and beloved works. The first ballet Balanchine choreographed in America, it originated as a lesson in stage technique; Balanchine worked unexpected rehearsal events into the choreography such as a student’s fall or late arrival to rehearsal. The ballet, set to Tschaikovsky’s Serenade for Strings, features 26 dancers in blue costumes before a blue background. The music of Tschaikovsky’s Eugene Onegin is the score for Peter Martins’ newest ballet, Bal de Couture which will have its Saratoga Premiere and one-time-only performance at the July 13 Ballet Gala, one of two premieres that highlight the special evening. The ballet features striking costumes created by legendary fashion designer and master couturier, Valentino Garavani, often known simply as Valentino. Also featuring an original Valentino costume design is Christopher Wheeldon’s pas de deux This Bitter Earth which will have its Saratoga premiere at the Gala. Set to Max Richter’s remake of Dinah Washington’s 1960 rhythm & blues song of the same name, the work is excerpted from Wheeldon’s Five Movements, Three Repeats. Complementing Bal de Couture’s “Valentino Red” costumes and inspiring the evening’s theme, the Gala program also features Balanchine’s brilliant Rubies, the second section of the full-length Jewels. Set to Stravinsky’s Capriccio for Piano and Orchestra, the work features Karinska’s famous, red jeweled costumes. The season will feature the Saratoga Premiere of Justin Peck’s recent work for New York City Ballet, Year of The Rabbit. The work is featured on the July 9 Opening Night, July 10 and the July 13 matinee program. Peck’s first work for NYCB, In Creases, had its World Premiere at SPAC’s Ballet Gala last season. Set to indie-folk composer Sufjan Stevens’ Enjoy Your Rabbit, an electronica album and song cycle based on the Chinese zodiac, the work for 18 dancers is an elaboration of Peck’s 2010 work, Tales of a Chinese Zodiac. For the new ballet, Stevens and Peck collaborated on all aspects of the production, including a new orchestration of Enjoy Your Rabbit, created specifically for the ballet. The work debuted on October 5, 2012 in New York to wide critical acclaim. Peck, a member of NYCB’s corps de ballet since 2007, has been recognized for his choreographic promise since his debut as a choreographer in 2009, earning favorable notices from the New York Times, Dance Magazine and Vanity Fair among others. He earned a Bessie Award nomination in 2011 in the “Outstanding Emerging Choreographer,” category. Other repertory highlights of the season include a July 11 evening of “20th Century Violin Concertos” featuring Peter Martins’ Barber Violin Concerto which explores the contrast between classical and modern dance; Robbins’ ethereal, introspective Opus 19 /The Dreamer; and Balanchine’s Stravinsky Violin Concerto, a signature “black and white” ballet and a work widely considered one of the choreographer’s greatest. Neoclassical simplicity and symmetry also narrate a July 12 program of chamber works that includes Peter Martins’ spare and elegant Hallelujah Junction set to a pulsing John Adams score and featuring two onstage pianists; Christopher Wheeldon’s poignant After The Rain pas de deux, created in 2005 for retiring NYCB principal Jock Soto, and set to a score by Arvo Pärt; and Jerome Robbins’ uplifting Dances At A Gathering, a work for ten dancers set to 18 piano pieces by Chopin. Online ticket sales for New York City Ballet’s Saratoga Season begin on March 18 at spac.org. Ticket prices for inside seating range from $30 - $80; lawn seating is $24. 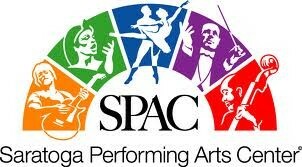 Located in the Spa State Park in Saratoga Springs, NY, SPAC has been the summer home of New York City Ballet since 1966. Just three hours from Boston and New York, SPAC’s 2013 programming also includes the Freihofer’s Saratoga Jazz Festival, the National Ballet of Canada, Aspen Santa Fe Ballet, MOMIX, The Philadelphia Orchestra, Saratoga Chamber Music Festival, Cabaret Series, Opera Saratoga, Live Nation concerts and the Saratoga Wine & Food and Fall Ferrari Festival.